Burdekin River is one of the largest rivers in Queensland. It covers a fair area - it flows through 710km of north Queensland and drains an area of 130,500 square kilometres. Its catchment covers the area between Ingham in the north, Rockhampton in the south, and Torrens Creek to the west (near Hughenden). 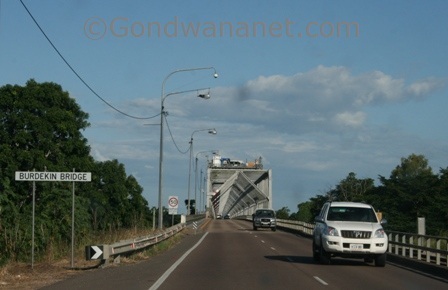 The river travels from the ranges west of Ingham through Dalrymple Shire (Charters Towers) to Burdekin Shire where it mouths into the ocean east of the town of Ayr. 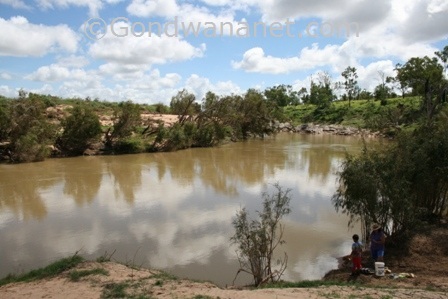 Its main tributaries are Bowen River, Belyando River, Star River and Suttor River. 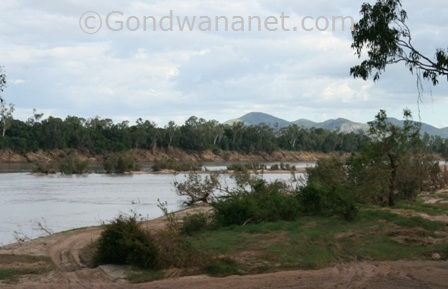 The river often seem very low during the Dry Season, particularly when looking from the Burdekin Bridge. Burdekin Falls Dam holds a lot of its water in Lake Dalrymple, lessening the severity and frequency of floods during the Wet Season, when the river waters can be high up. 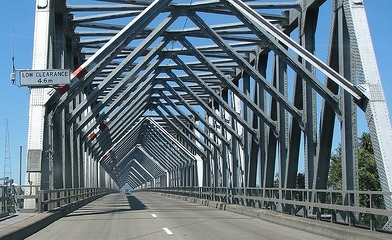 Longer than Sydney Harbour Bridge and Brisbane's Story Bridge, the Burdekin Bridge is a famous landmark. It is 1103 metres long, 13 metres high, contains 7000 tonnes of steel, 32,000 cubic metres of concrete, and is the only bridge in Australia that was built without a firm foothold. It has never been flooded.